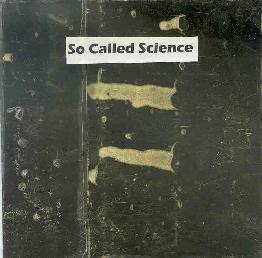 Marc Chesterman & John Kennedy - "Drumsmachine" / Various Artists - "So Called Science"
Is Land is a label started by New Zealand musician John Kennedy to feature the works of the experimental and improvisational artists he's discovered in Auckland. 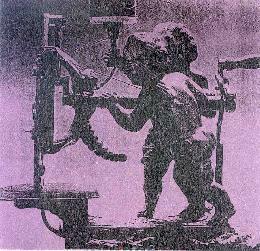 The press sheet points out that the label documents music that includes elements of musique concrete, ethnic music, environmental sounds, dance music, process music, and minimalism. Gorce Govadas contributes two tracks, the first featuring electronic patterns (might include piano) that strike an odd balance between being musical and mechanical. There's also a 15 minute track of abstract minimal electronic patterns peppered with subtle percussive bits. Things plod on a bit, but nearly halfway through the percussion takes on a more prominent role and my interest perked up again as a somewhat ethnic feel prevails though the mechanical electro and percussion patterns. One of Marc Chesterman's tracks is surprisingly rock oriented, though the music is still in the repetitive minimalist realm. The electronics have a spacey crashing guitar sound, and the percussion has a nice frantic rockin' feel. His second track is very different, being a collection of urban sounds, particular cars rushing by and voice samples of what seem to be loudspeaker announcements. About halfway through we still hear the sounds of the city but block percussion patterns and ambient waves are introduced. The ambient bits mesh with the sound of the cars and the whole thing becomes a strange but interesting collage piece. Always Building play an abstract collection of electronic and percussion sounds that are both noisy and pleasant. There's lots of clanging about and also some space tones that are a bit brain piercing. The effect is much like ambient music though it's more jarring to the senses. There's lots of percussive clatter but I think I hear guitar and perhaps even violin. In any event, unconventional string playing is much of the focus and the effect is more of the intriguing chaotic ambience that is heard throughout this collection. The Smile Plough offer two very different tracks, one being possibly the most distinctly "musical" piece on the set, but also one that fits in neatly with the dominant theme. Finally, John Kennedy, Marc Chesterman, and Andrew Moon teamup for one of my favorite tracks on the disc. It's similar to many of the other tracks but the space electronics are more distinct and there's even a slight sense of Dub rhythms as well. And speaking of John Kennedy and Marc Chesterman, they also have a duo project and recording aptly titled Drumsmachine. Jazz and ethnic influences pervade this set, though the experimental elements are prominent as well. "Dm1b" and "Dm1a" are both jazz pieces with an ethnic vibe. The drummers do an excellent job of creating a two man drum ensemble with a nice variety of sounds that really do "sing". "Backtraxs" is an interesting tune that highlights steady jazz drumming accompanied by looped soundbits. "Devonport Variations" is a multi-themed piece in which the drums are either telling a story or simply moving from one activity to the next. A funky drum and percussion pattern sets the stage for aggressive sounds that could either be generated or may even be samples of automobiles. It soon evolves into an African percussion workout that sets a nice groove and gets quite jazzy while still retaining the tribal feel. Things then get more experimental as the clatter and bang section begins and along with the parade of sounds it recalls the music heard on the So Called Science CD. Space ambience soon joins the drumming for a wild melding of astral bleeps and earthly beats. Lots of good ideas here though it's a bit uneven, being a seemingly pasted together grouping of recordings. Much more coherent is "Drumsmachine". The rhythm and pace slowly shift as this tribal space jazzy piece develops. I was just waiting for Sun Ra to sit down at his synthesizer to kick the jam up a notch. As it is, the drummers once again do a solid job of setting a groove that continually keeps things rolling along and the cosmic element is high throughout. Definitely the best track on either of these CD's. For more information you can visit the Is Land web site at: http://members.tripod.com/~is_landsoundimprint. Contact via snail mail c/o Is Land; 15 London Street; Te Atatu Peninsula, Auckland; Aotearoa New Zealand.